Contact lenses are available for just about any prescription. They can correct your astigmatism, and multifocals can help those with presbyopia (the inability to read without reading glasses) to have crisp near, intermediate, and distance vision. What age can you start to wear contact lenses? There are many options available today for a person who needs “readers” or “bifocals”. There are multifocal and mono vision contact lens options. Which option is best for an individual depends on their specific needs. This is carefully evaluated during the fitting process. Are contact lenses and glasses prescription the same? Contact lens prescriptions and eyeglass prescriptions are not the same. They are significantly different because eyeglass lenses are positioned approximately 12 millimeters from your eyes, whereas contact lenses rest directly on the surface of your eyes. If you want to wear both contact lenses and eyeglasses, you will need two separate prescriptions. What is in a contact lens examination? 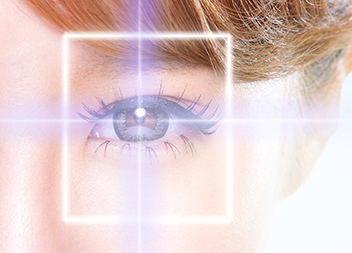 The eye care physician will examine your eyes to determine if you are a contact lens candidate. Your prescription and the curvature of your eye are measured and the doctor will discuss any special needs you may have. The doctor will then determine the type of contact lenses that best fit your eyes and provide you with the most accurate vision while ensuring that your eyes remain healthy with the lenses. If trial lenses are available in the office, you may be able to go home with lenses the same day. However, if your prescription or curvature warrant, contact lenses may need to be ordered and a contact lens fitting appointment scheduled when the lenses arrive. I have been told I can’t wear contacts due to an irregular cornea? Are there any other options for me? There are some newer technology contact lenses called scleral lenses that will help with severe dry eyes, keratoconus, high astigmatism and poor vision due to irregular cornea. The doctor will talk to you if you are a specialty contact lens candidate. Contact lenses are very safe. Still, wearing contact lenses can damage your eyes if you wear them too long, fail to clean them properly or do not replace them as directed by your eye doctor. Contact lenses are considered medical devices and are regulated by the U.S. Food and Drug Administration (FDA). For safety reasons, they cannot be purchased without a professional fitting and a contact lens prescription written by a licensed eye doctor. Why should I need to have a yearly contact lens examination? Seeing 20/20 isn’t the only reason for a contact lens exam. Problems that are undetectable to you can develop into more serious conditions. It is vital to your eye health to make sure that your contact lenses fit properly and are allowing enough oxygen to reach the cells of the cornea. During the annual contact lens exam, your eye care professional evaluates the condition of the lenses, the eye health, update your visual acuity and can tell if any changes are warranted in the lenses’ fitting. Are daily disposable contact lenses worth the extra money? Many doctors highly recommend disposable contact lenses. They are an excellent choice health-wise, because there is less opportunity for protein and bacteria to build up on them. Also, if you wear daily disposable contact lenses, which are discarded at the end of the day, you won’t need to buy contact lens cases and contact lens solutions to clean and disinfect them after each use. Can you swim in your contact lenses? Swimming with contact lenses should be avoided whenever possible to help prevent bacterial infections of your eye. Swimming with contacts can result in eye infections, irritation and potentially sight-threatening conditions such as a corneal ulcer. The FDA recommends that contact lenses should not be exposed to any kind of water, including tap water and water in swimming pools, oceans, lakes, hot tubs and showers. Glaucoma is a chronic disease that can lead to damage to the optic nerve and can result in loss of vision and blindness. It is the leading cause of blindness in adults. It is a complex disease and can be associated with elevated intraocular eye pressure. The optic nerve delivers information to the brain from the eye and once it is damaged vision loss can occur and is permanent. Early detection and treatment is very important. Most people with glaucoma do not have symptoms. Glaucoma is diagnosed using a series of tests in the office, like visual acuity, pressure checks, visual fields, and dilated exams with OCT’s and fundus photography. Glaucoma can be treated in many different ways, the most common of which is medication to treat the eye pressure. Compliance with your doctor’s recommendations of your glaucoma medication is extremely important. With the most common form of glaucoma, there are no symptoms at first. If left untreated, glaucoma will lead to peripheral vision loss. Eye drops to treat the pressure and sometimes lasers and incisional surgery. Usually every 4-6 months for pressure checks and testing, like visual fields and monitoring for optic nerve damage with testing, such as with OCT and photos. Yes. There are 2 types – open angle and closed angle. Most people have open angle. There are many types of secondary glaucoma, also.